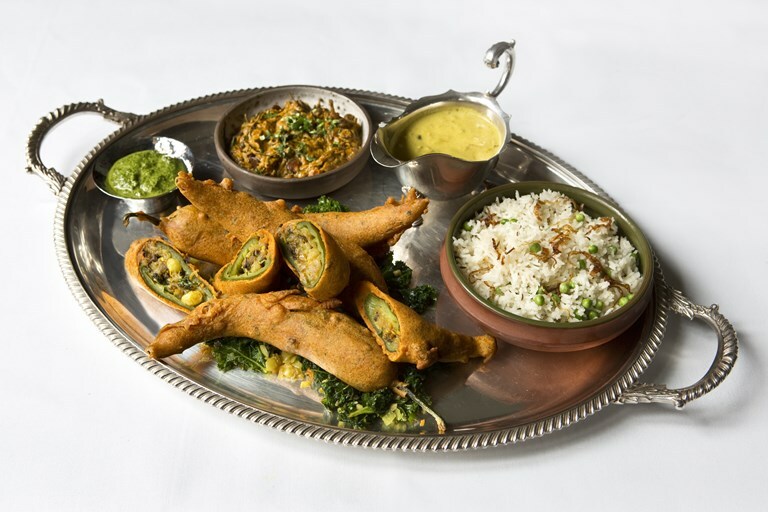 This vegetarian starter from Vivek Singh delivers the delicious tangy flavour of fenugreek mixed with the heat of banana chilli, while the chickpea batter adds crunch and textural interest. Serve with green pea pilau rice and the sauce on the side. After ignoring his father’s advice to become an engineer, Vivek Singh has built a distinguished career as a chef.